East Coast Lomi Lomi Classes ~ Do you get Burnt out?? 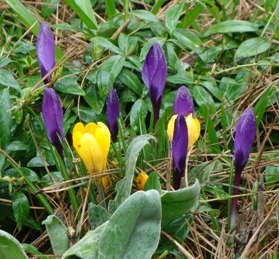 Snow drops, crocuses and lenten roses are all blooming around my home, heralding the new beauty, new life and new hope. The miracle of the cycle of life continues to delight and amaze me. Recently Maka'ala Yates, my mentor and guide, wrote responses to questions put to him by an eager, mature massage therapy student from Texas. Having facilitated the connection between these two special men, I was glad to benefit from their connection. In his writing shared here, Maka'ala gives clarity and substance to many of my own thoughts, attitudes and experiences. Reading Maka'ala's words highlights for me once again why I treasure teaching with direct and active connection to the Mana Lomi® lineage. I love teaching as a member of the Mana Lomi® 'ohana (family.) I am honored indeed!!!! Please enjoy reading Maka'ala's answers below. Do these ideas resonate with you? I'd love to hear your thoughts on these subjects. Was massage therapy your first career choice? If so why? If not, what brought you to massage therapy? Maka'ala: Mana Lomi, a specialized problem solving form of lomilomi (for now I'll interpret this as Hawaiian massage), was a part of life growing up in Kona, Hawaii. It was common in those days to have a skilled Lomi practitioner in almost every family, for sure in every village. It never occurred to me that this could be a career for me some day. In fact, I remember at the age of six whispering to my two younger sisters while working on one of my elders (kupuna) that "when I grow up I am never going to do this work!" Little did I know that other Divine plans were laid out for me. Later in life I started helping more and more people in their every day common ailments. Then at the age of about 30, I began my formal training in Hawaiian medicine, which included lomilomi. At the age of about 40 I started teaching this work. Have you ever felt burnt out? If so, how did you manage that? Maka'ala:"Burnt out" is not a familiar feeling for me primarily because the ease and efficacy of Mana Lomi. When you are able to use your body weight and vector (directional biomechanics) efficiently with your intended outcome then you'll never get tired. Also, when you are able to help people out of their physical malady, what a joy it is for both. When I am in a problem solving mode, my mind is inquiring further than the hands-on skills learnt. My creativity and curiosity is always stimulated without any attachment to the outcome. There is no end to learning for an inquisitive mind, therefore, no room to get bored! I work on each person as if I am the one that is on the table. What do you like most and least about being a Massage Therapist? Maka'ala:I will assume that the term "Massage Therapist" refers to a legal name given to a person that provides some form of hands-on treatment for another person and that there is a financial gain from that exchange. In this case what I like least is the legal system that is in place to approve and issue a license to practice. Without getting political on you, this "legal" system does not guarantee efficacy of treatment or being free from injury for the public. The reason why I like the work that I do is because I was taught responsibility (kuleana) with the skills learnt not only to the people that I work on and myself as a practitioner, but to my teachers before me and their teachers before them. Every action, word, or thought is done as if all of my ancestors (my kuleana goes beyond teachers and includes elders and family members) are right next to me, watching and listening. As long as I am pono (practicing with integrity, harmony, sensitivity, trust, etc,) I am supported by my na Kupuna (ancestors, elders). What advice would you give someone starting out in massage therapy? Think of wanting to genuinely help others first and financial gains (reasons) last. Remember, learning really begins out in the field. Finally, be more attentive to your hands on skills than to academics. No one is going to ask you what your grades were in massage school. If you are skilled with your hands, they will know it and are more willing to return to you when they need your help in the future. Think of having a sustainable practice where everyone receives equally energetically. Thank you all for working with us to keep massage vital and exciting as a healing art! note: the March classes in RI and the April class in NH have been cancelled. Please attend one of the remaining classes. • REPEAT STUDENTS for Mana Lomi® level 1, level 2 and hot stones: $300 when paid 3 or more weeks in advance. • Mana Lomi® is approved by NCBTMB as a continuing education Approved Provider,#287333-00. • Partial scholarships sometimes available. I love teaching Mana Lomi®. In my teaching I emphasize body awareness, use of one's weight, development of keen palpation skills and the use of the creative power of the words. My intent as a teacher is to see the Light in each person and to help each student to be and to do their very best. Lomilomi has been a primary focus of my life since 1996 when I graduated from Brian Utting School of Massage and established my active private practice in Seattle, WA. I've taught lomilomi since 2006. Mana Lomi® is a style of lomilomi developed by Native Hawaiian Maka'ala Yates, D.C.- pictured here - drawing on his 16 year apprenticeship with beloved and well known teacher Aunty Margaret Machado, and his other teachers. This Big Island Style Lomi lineage is very therapeutic, specific work which addresses and helps resolve injury. WHAT IS MANA LOMI®? Mana Lomi® is clinically focused yet spiritually grounded , Hawaiian massage which uses a problem solving approach to effectively treat injuries, relieve pain and help people move easily. Mana Lomi® is bone deep yet gentle and works very specifically with bones and the muscle attachments on the bones. Mana Lomi® is approved by NCBTMB as provider #287333-00. If you know someone who might enjoy this newsletter, please forward it to them. Click here if someone forwarded this newsletter to you and you'd like to subscribe to receive future issues. See below to unsubscribe.